When a federal holiday rolls around, many people want to take advantage of the day off to do some shopping. However, figuring out which stores will open or stay closed can be confusing, especially since every chain can make their own decision. Many stores treat Veterans Day like any other day while others don’t. Plus, since Veterans Day is on a Sunday in 2018, it can be even harder for shoppers to figure out. While there is usually a little confusion regarding what is open on federal holidays, this year, Veterans Day adds a bit more to the mix. The holiday officially falls on November 11 every year which, for 2018, is a Sunday. This means that the federal government observes the holiday on the next Monday. For 2018, that is November 12. Since government agencies usually close on Sundays no matter what, they will close on Monday for Veterans Day to provide their staff a day off from work for the holiday. However, many retailers open on Sundays as part of their regular schedule. Plus, to make things more confusing for shoppers, not all business close for federal holidays no matter what day of the week they fall on. Retailers have the ability to treat holidays in any manner they choose. There are no laws that dictate what they have to do, so opening or closing it a decision made by their upper management. If you are wondering what retailers open on Veterans Day, here’s a quick look at some popular stores. Best Buy is open. Each store maintains their usual Sunday operating hours on Veterans Day and their typical Monday hours on the day the holiday is observed. BJ’s is open. This includes on Veterans Day itself as well as the Monday after. All locations will maintain their traditional operating hours on both days. Costco is open. While Costco closes on many federal holidays, they maintain their usual hours on Veterans Day proper and the day it is observed when the actual holiday falls on a weekend. Hobby Lobby is closed on Veterans Day in 2018. However, this is only because the retailer doesn’t open on Sundays usually. During years where Veterans Day falls on any other day of the week, Hobby Lobby is open. Additionally, Hobby Lobby is open on Monday, November 12, the day the federal government observes Veterans Day. Home Depot is open. They will keep their usual business hours on both that Sunday and Monday. Plus, they provide a discount to veterans every day of the year, including on the holiday, and may have additional sales available to all shoppers that can lead to more savings. JC Penney is open. The retail stores open for their regular hours on Sunday, November 11, 2018, and Monday, November 12, 2018. Lowes is open. Additionally, veterans can take advantage of their usual discount. Plus, there are usually sales that are available to all shoppers. Macy’s is open. Macy’s maintains usual business hours for Veterans Day and often has special sales to mark the holiday that are available to all customers. Sears is open. On Veterans Day and the following Monday, Sears will open according to their typical schedule. The retailer may also have special sale prices that everyone can take advantage of, including nonveterans. Target is open. Target is open on both days according to their regular business hours. While they don’t have a special Veterans Day sale, regular discounts are commonly available. TJ Maxx is open. On both Sunday and Monday, TJ Maxx will operate per their usual schedule. Walmart is open. Walmart stores open every day barring Christmas Day, so they will not close for Veterans Day 2018. Small retailers, like the optometry clinic or salon, may not be open, depending on their usual Sunday schedules. If you plan on using those services, check their operating hours in advance. 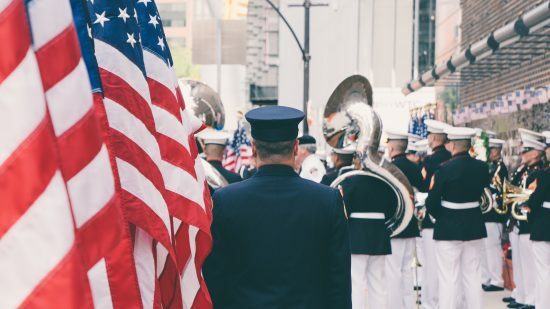 Remember, nearly all banks and credit unions will close both on Veterans Day itself as well as Monday, November 12, when the holiday is observed. Government offices are usually not open on either day either, and some schools may close on Monday since they are generally not open on Sundays to observe the holiday on the actual day. Do you plan on shopping on Veterans Day? Tell us where you’re heading in the comments below. What Is Open and Closed on Veterans Day 2018? While Veterans Day is a federal holiday, not every business closes to recognize it. This means some locations will open per usual while others may not. Making things more confusing, Veterans Day, which occurs every November 11, falls on a Sunday in 2018. This means the federal government observes the holiday on Monday, November 12, to ensure all non-essential federal workers get a day off in recognition. Below is a list of types of businesses and whether they will open or closed on Veterans Day proper, or the day it is observed. Banks and credit unions are closed. On both days, banks and credit unions will close, barring a few exceptions. Most financial institutions close on Sundays normally, so Veterans Day will be no different. Additionally, they commonly observe federal holidays by closing. Drug stores are open. Major chains like CVS, Rite Aid, and Walgreens will open according to their usual schedules. However, if a pharmacy counter isn’t usually open on Sunday, they won’t open on November 11 either. Smaller drug store chains or independent locations may or may not open on Veterans Day or the observation day on Monday. If you were planning to head to one of these stores, you should contact them in advance to confirm they will be open on either day. Federal government offices are closed. Since federal offices are usually not open on Sundays and the holiday is being observed on a Monday in 2018, most locations will not be open to the public on either day. However, essential personnel, like law enforcement, will be on duty regardless of the holiday as a matter of safety. Garbage service may or may not pick up. Since garbage service varies, you need to check with your local provider if your usual pickup falls on either Sunday, November 11, or Monday, November 12 to verify if there is a change. Similarly, city or county dumps may or may not be open, so you should contact them before you make a trip. Gas Stations and convenience stores are open. By and large, both chain gas stations and convenience stores will operate according to their usual Sunday and Monday schedules, regardless of the Veterans Day holiday. However, independent convenience stores may close on either day, though pay-at-the-pump service is typically still available. Grocery stores are open. All chain grocery stores that are usually open on Sundays will open on Veterans Day as well as the Monday after. Many smaller retailers will also open if they don’t commonly close on Sundays, though it is wise to contact the store and verify they will be open before you go. Libraries may or may not open. Some libraries close to observe federal holidays and not every location opens on Sundays. This means a library may close on Sunday, Monday, or both, depending on how they recognize Veterans Day and their usual operating hours. National parks are open. 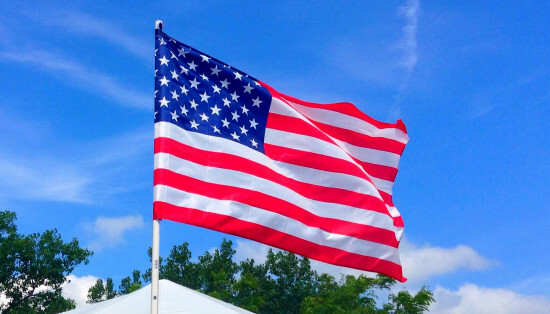 Not only are National parks open on Veterans Day, but it is also a free entry day. Locations will also be open on Monday, November 12, but the usual fee will apply. Post offices are closed on both Veterans Day and Monday, November 12, 2018. There will be no mail pick up or delivery, and employees are not available to assist customers. However, you can still access your post office box if it is in an unsecured part of the building. Additionally, self-service kiosks are usually operational if they are available at your location. Public transportation may operate on holiday schedules. Many bus and rail services have holiday schedules and may use them on either Veterans Day or Monday. Before heading out, check with your local provider to determine if there are any changes to the usual operating schedules. Restaurants are open. Most chain restaurants open on Veterans Day, and some even offer special deals to veterans, such as free meals. The only exception may be restaurants that commonly close on Sundays, like Chick-fil-A. Independently-owned restaurants may or may not be open, so you may want to call ahead if you would like to eat at one of those locations. Large retailers are open. Nearly every major chain, including Costco, Target, and Walmart, open on Veterans Day according to their usual business hours. Some may also run big sales to recognize the event, while others will issue a standard sale flyer. However, any stores that typically close on Sundays likely will not be open on Veterans Day. For example, Hobby Lobby closes every Sunday and will do the same on Veterans Day 2018. However, they will open on Monday even though that is when the federal government observes Veterans Day for 2018. Schools are closed on Veterans Day but may or may not be open on Monday. Public schools are traditionally closed on Sundays, so Veterans Day will be no different. However, not all schools will observe the holiday on Monday, as school districts handle the holiday differently. Check with your school in advance to confirm whether they will open on Monday. State and local government offices will also not be open. The majority of government offices at every level close for federal holidays. However, essential services, like police and fire, remain available for public safety. Stock markets are closed on Veterans Day only because it is on a Sunday. The reason the New York Stock Exchange (NYSE) and NASDAQ close this Veterans Day is because it falls on a Sunday. When the holiday falls on a usual operating day, they both stay open. They will maintain a typical schedule on Monday, November 12. Do you have big plans for Veterans Day? Tell us about them in the comments below. Veterans Day is November 11. Those who have a veteran in their life or are veterans themselves may be looking for a way to celebrate the day. Most of the time, this means going out for lunch or dinner. However, you don’t need to spend a ton of money to celebrate your favorite vet. A large number of restaurants are offering free meals on Veterans Day. Here are some of the best freebies available this year. Applebees is offering its usual Veterans Day deal: a free meal to all veterans. Check the Applebees website to find out what kind of identification will be accepted to take advantage of this freebie. Most restaurants require you to have your military ID. IHOP is honoring the men and women in uniform by offering them a free stack of red, white and blueberry pancakes. This offer is available for vets and active-duty military. You must provide proof of service to cash in on this deal. Anytime on Sunday, November 11 you can stop in at Chili’s and receive a free meal if you are a veteran. Like many of the other free meals on Veterans Day, you will need to show proof of service to get your food for free. If you love donuts, you’ll love this deal. Krispy Kreme will be offering a free donut to every veteran or active duty personnel with valid ID. Individuals wishing to cash in on this offer will need to do so in-store. The offer will not be available at the drive-thru. On Sunday, November 11, veterans can get a free meal at Olive Garden. There may be some restrictions on menu items included in the freebie. You’ll also need to verify your military status with the Olive Garden staff with a military ID, U.S. Uniform Services Retired ID Card, Current Leave and Earnings Statement, or Veterans Organization Card. Just like last year, Denny’s is offering a FREE Build Your Own Grand Slam Breakfast. The offer is only valid on Sunday from 5 a.m. to noon. Veterans can get a free coke product and Bloomin’ Onion on November 11. Also, between November 8 and November 10, military, police, firefighters, and first responders will receive a 20% discount on their total check. You will need valid identification to claim these offers. Golden Corral is offering its Veterans Day freebie on Monday, November 12. Anyone who has served or currently served in the military will receive a free meal and drink from 5 p.m. until 9 p.m. No ID is required. Red Lobster is offering free appetizers or desserts to vets on Sunday AND Monday this year. Valid ID is necessary to claim this freebie. Texas Roadhouse is offering free meals on Veterans Day. The offer is dine-in only and may be restricted to certain hours of the day. Be sure to call ahead and confirm with the Texas Roadhouse nearest you before heading out. TGI Friday is offering a free meal to all veterans on Sunday AND Monday for Veterans Day with valid ID. Hours the freebie can be redeemed may vary location-to-location. Give your local Fridays a call prior to heading out for your Veterans Day celebration. O’Charley’s offers a 10% discount for members of the military all year long. They are also serving up freebies for Veterans Day. Participating O’Charley’s locations are offering a free meal for vets on Sunday and Monday this year. Veterans and active-duty military members will be able to choose from the Thank You Menu. Valid identification is required to redeem this deal. Red Robin is serving up deals for vets too. Veterans and active duty military with valid identification will receive a free Red’s Tavern Burger and bottomless steak fries at participating restaurants. Call ahead to confirm. Veterans and active-duty military can get a free small order of boneless or traditional wings with a side of fries on Sunday. This offer is for dine-in only and is only offered at participating Buffalo Wild Wings locations. If you or a member of your family is a veteran or active duty military tomorrow is the day to take advantage of some of the great deals being offered as our way of saying thank you for your service. Remember many of the offers require proof of I.D. or a uniform. Is Target Open on Veterans Day 2018? 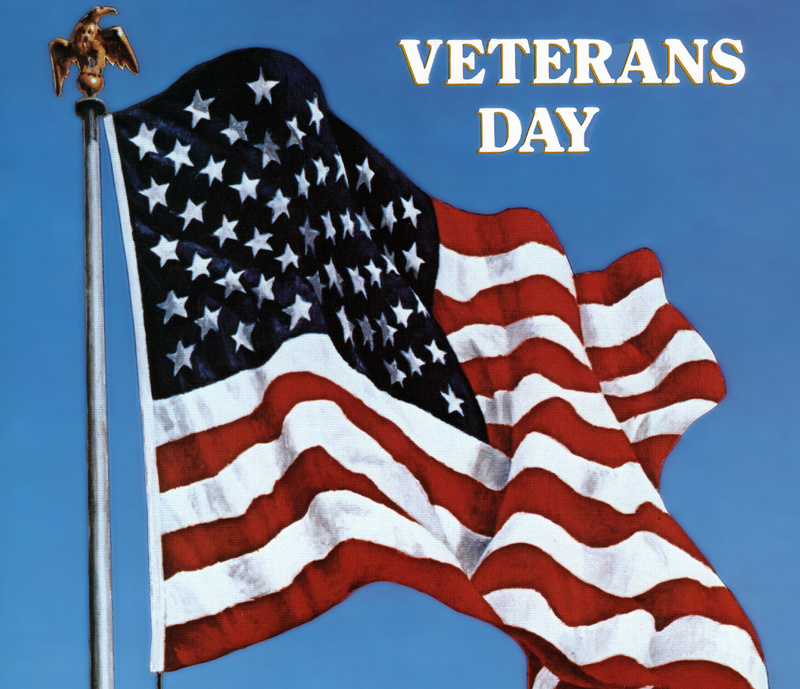 Veterans Day is a federal holiday that occurs in the first half of November. Many Americans take advantage of the day off and store sales to go shopping, hoping to land deals before Christmas shopping gets into full swing. However, not every retailer chooses to open their doors on Veterans Day, and because Veterans Day 2018 falls on a Sunday, it adds a bit of confusion to the mix. Veterans Day happens every November 11. For 2018, November 11 falls on a Sunday. When this occurs, the federal government observes the holiday on the next Monday. In this case, it’s November 12. When it comes to retailers like Target being open or closed, this can add to the confusion. While the holiday happens on Sunday, organizations like federal agencies and post offices that are traditionally closed on Sundays anyway, will also be closed on Monday to observe Veterans Day with a day off from work. However, retailers can handle federal holidays in any manner they choose. They are not required to close on the actual holiday or the day the holiday is observed. Target often marches to the beat of their own drummer when it comes to holidays. For example, they tend to close on Easter but are typically open on Thanksgiving. So, will Target open on Veterans Day? Will they take advantage of the fact that many Americans will spend the day shopping? Is Target Open on Veterans Day? Yes, Target stores will be open on Veterans Day. Every location will operate using their normal Sunday hours. Additionally, Target stores will also be open on Monday, November 12, the day the federal government observes Veterans Day. Again, they will use their traditional operating hours. Target shipping centers are also open on Veterans Day and the Monday after. These locations don’t usually close on Sundays, even though post offices close. Additionally, they continue to operate on many federal holidays throughout the year, except the ones Target chooses to observe. By staying open, Target gets to take advantage of a major shopping day and customers who may want to get a jump on their holiday shopping. However, Target doesn’t have a special Veterans Day sale. Instead, they have regular discounts and coupons available, such as those found on the Target website and app. Target’s approach to Veterans Day discounts mimics those from their larger business model. Instead of charging higher prices during the year and then providing steep discounts on major holidays, they keep their prices down year-round and offer regular discounts throughout the year. If you want to make the most of your trip to Target on Veterans Day, it’s best to shop with an open mind and a smartphone at the ready. With an open-minded approach, when you spot a sale, you can take advantage of the discount. Just keep your eyes open for bright red signs that show there is a price drop, as they are often scattered throughout the store. By keeping your smartphone in-hand, you can use the map in the app to navigate your store with greater ease. Plus, you can track available coupons and discover other sale items you might accidentally overlook. Essentially, a smartphone can help you make the most of your trip, ensuring you find the best discounts available quickly and efficiently. Before you head to Target on Veterans Day, don’t forget to check your stores regular Sunday operating hours. While many Target stores maintain the same hours seven days a week, not all of them do, so it’s wise to check at your store’s door or the Target website before you head out. If you can’t find the information you’re looking for, you can also call the location’s phone number and speak to customer service. Is the Stock Market Open Veterans Day 2018? Those who trade stocks know it is important to stay on top of the stock market holiday schedule. Because the market doesn’t follow the federal holiday schedule, it can get confusing. It is common knowledge that the stock market is closed on Thanksgiving and Christmas Day but is the stock market open Veterans Day? Will the Stock Market Be Open Veterans Day? The stock market will be closed on Veterans Day. It should be known that the stock market does not usually recognize Veterans Day. However, because the holiday falls on a Sunday this year, the stock market will be closed. Business will be conducted as usual on Friday, November 9 and reopen at its usual time on Monday, November 12. NASDAQ will also be closed on Veterans Day. If you trade on the NASDAQ market, you will not be able to do any trading on Sunday, November 11, just like any other Sunday. Will the Bond Market Be Open? The SIMFA market, or the bond market, will also be closed on Veterans Day. Anyone who has stock in bonds won’t be disturbed by the Veterans Day holiday. 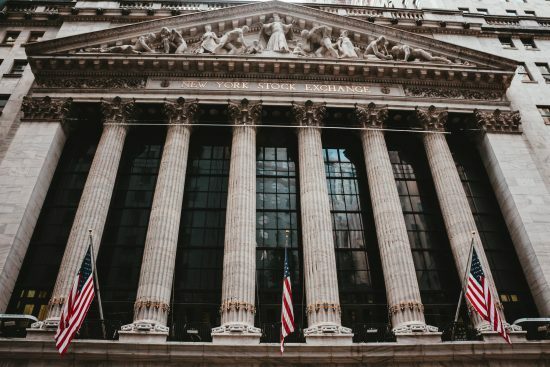 Every year, the stock market is closed on the following holidays: New Year’s Day, Martin Luther King Jr. Day, Washington’s Birthday, Good Friday, Memorial Day, Independence Day, Labor Day, Thanksgiving and Christmas Day. There are also a few days where the New York Stock Exchange has altered hours. On Black Friday, the market closes at 1 p.m. EST and follows the same hours on Christmas Eve. Generally, the NASDAQ follows the same schedule as the New York Stock Exchange. However, the bond market hours may vary. It is important to stay on top of the stock market holiday schedule and know when the market will be open or closed. Before any major holiday, check the schedule and get any urgent business out of the way. 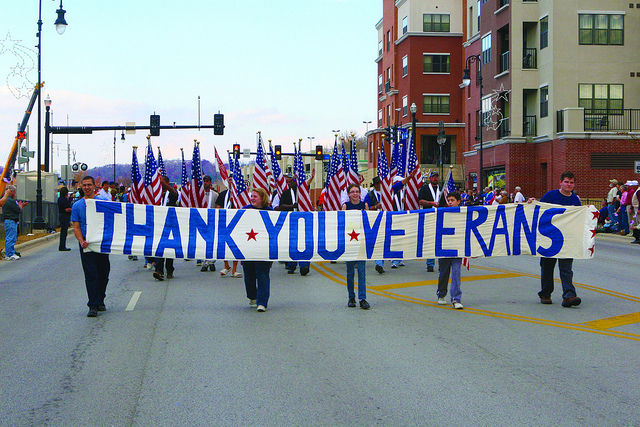 Are Credit Union and Banks Open Veterans Day? Is the Post Office Open Veterans Day?